Expanded mesh mild steel is made from flat mild steel sheet which has been slit and stretched to expand the sheet and produce holes. The finish mesh hole size is determined by the size if slit cut and how much the sheet is pulled/stretched apart. Smaller meshes are generally supplied in small sheets 1250 mm x 1250 mm. 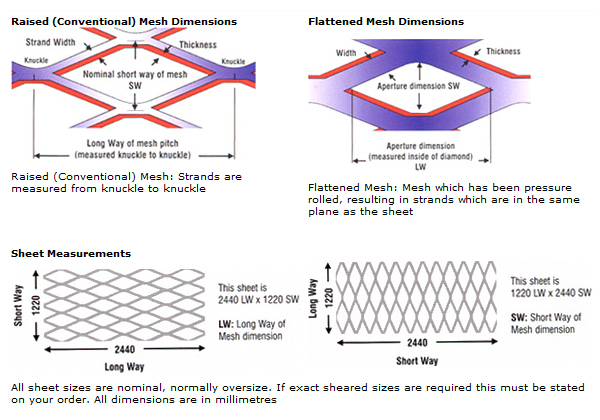 The larger the mesh size, the larger and thicker the finished sheet can be. Raised mesh has a raised surface just like a grater.